It’s been quite a start to 2013! The table below shows the top ten performing FTSE 350 stocks in the year so far. 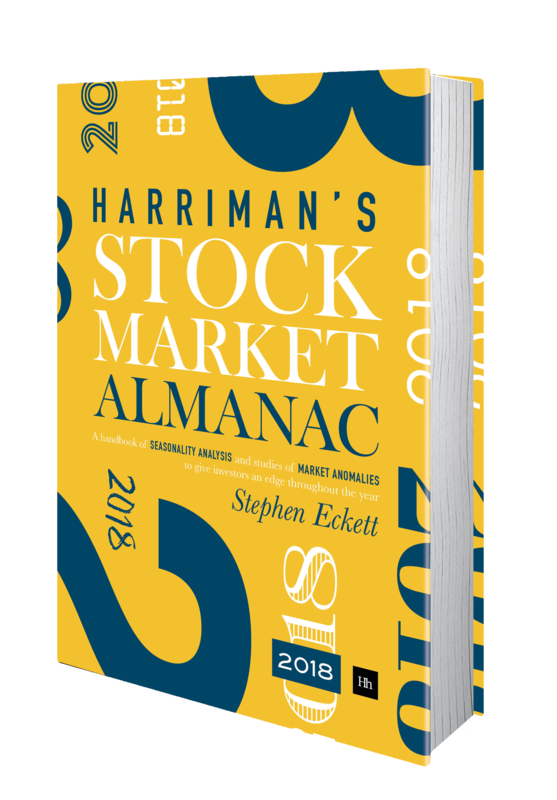 Six of the stocks in the top ten (marked in italics) are in the Bounceback Portfolio as explained in the UK Stockmarket Almanac 2013 and in this post at the beginning of the year. The performance of the whole portfolio is shown in the following chart. Since 2002 the Bounceback Portfolio has beaten the FTSE 350 Index every year over the first three months by an average of 12.0 percentage points each year. 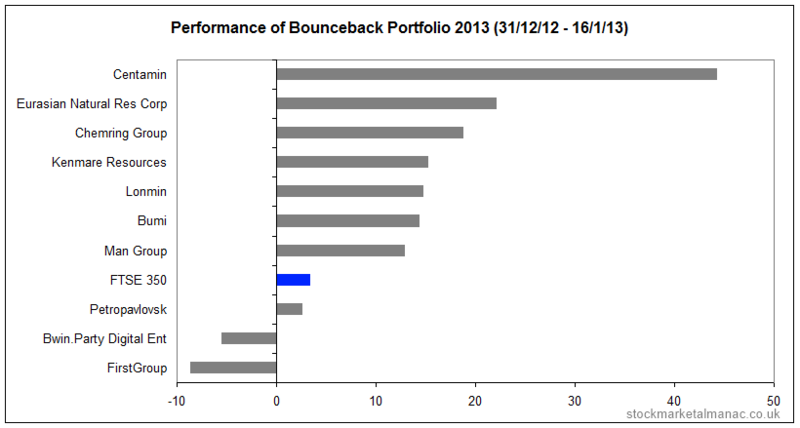 So far in just the first couple of weeks in 2013 the Bounceback Portfolio is up 13.1% while the FTSE 350 Index is up 3.5%. This entry was posted in News, Stocks, Strategies and tagged Bounceback by Almanacist. Bookmark the permalink.